Now that the June 2015 draft signing deadline has passed, here’s a quick review of all DC/MD/VA players who got drafted with their signing bonuses (if known), and if not signed where they’re presumably heading to school. This post at MinorLeagueBall lists all the top 20 round draft picks who did NOT sign. This list has a ton of 20th round+ guys who we’re depending on MiLB.com assignments. Chelsea James just did a nice summary of the Nats draft class at NatsJournal. I’ll do a separate post to that end later on. MLB.com’s Draft Signing and Bonus tracker; note this only goes through the first 10 rounds; after that, the bonus figures are treated differently. Nathan Kirby LHP from UVA: went #40 (Supp 1st round) to Milwaukee. Signed at the deadline for below slot value ($1.2M versus slot of $1.545M). 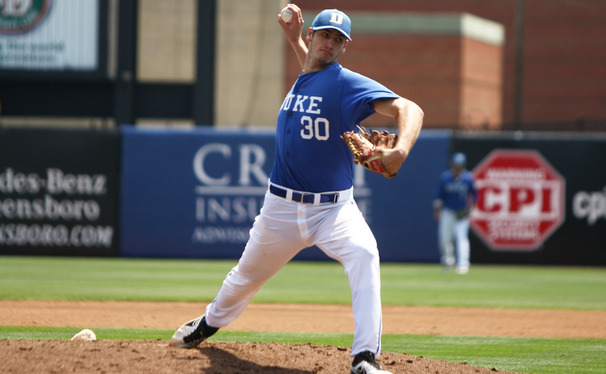 Josh Sborz, RHP closer for UVA: went #74 (Supp 2nd round) to the Dodgers. Signed at the deadline for below slot ($722k vs $827k). Taylor Clarke, who hails from Ashburn (Broad Run HS) went #76, first pick of the 3rd round to Arizona. Signed for slot value of $801k. Mike Matuella, of Great Falls (Georgetown Prep) and Duke: #78, to Texas in the 3rd round. Signed for huge overslot deal of $2M. Brandon Lowe: UMD infielder: 3rd round #87 overall to Tampa Bay. Signed for $6k overslot ($697k); why $6,000 over slot? weird figure. 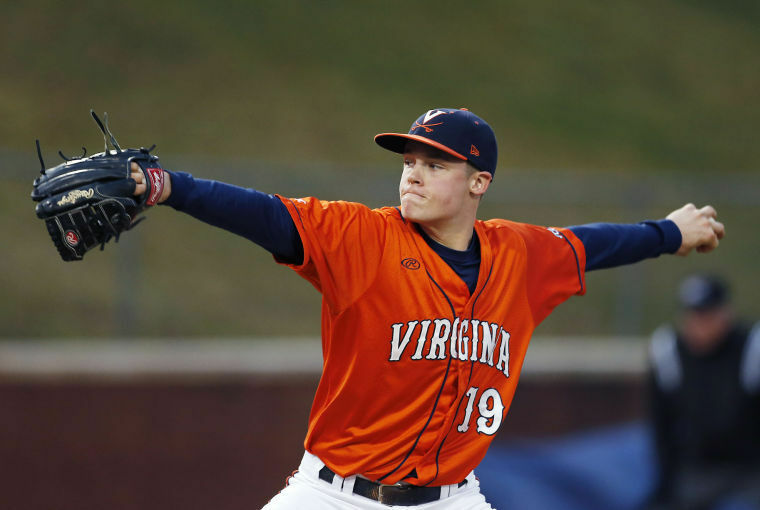 Joe McCarthy, OF for UVA: 5th round, #148 overall to Tampa Bay. Signed for slot value of $358k. Brandon Waddell UVA Saturday/Sunday starter: 5th round (#157) to Pittsburgh. Signed for slightly underslot bonus of $315k. Jack Wynkoop of Virginia Beach (Cape Henry Collegiate HS), LHP starter for South Carolina: went in the 6th round to Colorado. Signed for slot value of $298k. Michael Boyle: Radford Ace. 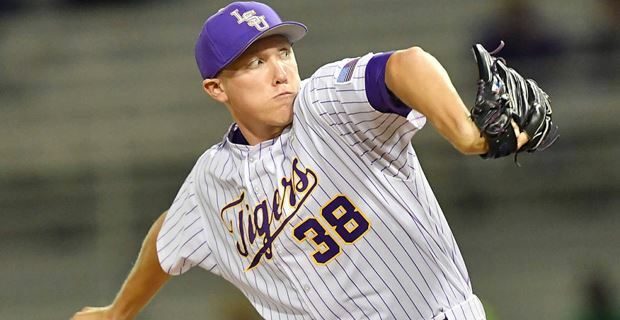 13th rounder to the Dodgers. Signed for unknown figure, currently in Rookie/Pioneer League Ogden. Kevin Mooney: UMD closer: 15th rounder by the Nats. Signed for unknown figure, currently in short-A Auburn. Kenny Towns; 3B from UVA and the 2011 All-Met player of the year from Lake Braddock, went in the 20th to the Angels. Signed for unknown figure, currently in Rookie/Pioneer League Orem. Luke Willis, OF from George Mason and Oakton HS, in the 30th round to Kansas City. Signed for unknown figure, currently in Rookie/Appalachian League Burlington. Josh Swirchak, a MIF from Division II Wilmington University via Osbourne Park HS in Manassas, Signed with St. Louis as an undrafted free agent after the 2015 draft. Currently at short-A State College. There were no significant college draftee non-signings from the area. Jimmy Barnes, Deep Creek HS in Chesapeake; 11th rounder to the Angels. Signed for unknown figure, currently in the Arizona Rookie League. Nic Enright RHP from Steward HS in Richmond: 19th rounder to the Mets. Did Not Sign, as noted on MinorLeagueBall.com. Will presumably honor his committment to Virginia Tech. Ljay Newsome of Chopticon (south of Waldorf): 26th rounder by Seattle. Per his summer team’s twitter page, Newsome Signed with Seattle for an undisclosed amount. Currently in the Arizona Rookie League. Nathan Trevillian, RHP from small Amherst County HS; 22nd rounder to the Pirates. Signed for unknown figure, currently in GCL. Stevie Mangrum, 3B from Western Albemarle HS in Charlottesville, 28th round pick by Boston. Did Not Sign, will presumably honor his commitment to Virginia Tech. Cody Morris, of Reservoir got picked up in 32nd round by Baltimore. Did Not Sign, will honor his commitment to South Carolina. Hunter Parsons of Parkside HS, picked up in the 40th round by Cleveland. Did not Sign, will presumably honor commitment to Maryland. Uncommitted thus far: Kaleb Bowman, Hunter Byrnes. Update post-publishing: Bowman went to Spartansburg Methodist and Byrnes went to UVA … to play football. This Baseball America link has a list of all the major prep players who didn’t sign, listed by college commitment. It has a couple more big names for some of the local baseball schools. PerfectGame.org also has a way to search by college commitment, but it doesn’t verify the results since its self-reported by the players (it has literally 20 names listed for UVA’s incoming 2016 class). Andrew Suarez , (2nd round pick 2014) LHP from Miami went in the 2nd round again, #61 overall this time to San Francisco. Signed for slot of slightly more than $1M. Skye Bolt, OF from UNC, went in the 4th round (#128 overall) to Oakland. Signed over-slot deal of $610k. Cody Poteet, (27th rounder in 2012) went in the 4th round (#116 overall) to Miami. Signed slot deal of $488k. Austin Byler, (9th rounder, 2014) OF from Nevada. Was the first pick on day 3; 11th rounder by Arizona. Signed for unknown amount. Daniel Salters (22nd rounder 2014) C from Dallas Baptist: 13th round pick to Cleveland in 2015. Signed for unknown amount. Jake Jefferies (34th rounder in 2012): 2B from Cal State-Fullerton; Nats picked him up again, this time in the 39th round. Signed for unknown amount with the Nats and is on the Auburn roster. At the beginning of the season, we profiled a ton of local prep and college players. Just after the rule-4 draft, we went over all the local players who got picked.